And … this is basically the whole movie in one image. This week in movies you missed: "That movie where a guy just talks on the phone in his car for 85 minutes." Or: How interesting can an ultra-minimalist conceit be? Can you keep an audience absorbed in a film with one character and one set? Writer-director Steven Knight (Eastern Promises) decided to find out. Somewhere in the UK, night. Ivan Locke (Tom Hardy) leaves a large industrial plant and gets in his Beemer. As he speeds toward London, he makes a series of calls: to his wife and kids, his boss, his subordinate, and a frightened woman waiting for him in a hospital at his destination. Locke is a construction foreman, and tomorrow his company will undertake Europe's largest-ever concrete pour for a new skyscraper. He's supposed to be there to oversee the complicated process; he won't be. His boss (voice of Ben Daniels) is apoplectic, his subordinate (Andrew Scott) terrified. He's never shirked a responsibility before. Locke's wife (Ruth Wilson) is both angry and terrified — for a different reason. His kids, who expected him to be home for the game tonight, are just confused. But Locke is dead set on making it to his destination. It's the only way he can prove to himself he is the man he's always wanted to be. A trailer for Locke played at the Roxy, but the film did not. It reached 121 U.S. theaters and is now on DVD, Blu-ray and VOD outlets such as Amazon Instant (for Netflix, you'll still need the disc plan). 3/4. My colleague, Ethan de Seife, likes to dismiss movies that don't meet his requirements for visual interest by saying they should have been "radio plays." I don't usually agree with such assessments, but this is an instance where I come close. Locke would have lost little by being a radio play. A car driving down a motorway, or the interior of said car, or the face of the single actor in said car, can only offer so much "visual interest" over the long haul. But you can't say that Knight and his cinematographer, Haris Zambarloukos (Thor), didn't try. They make impressionistic use of the motorway lights (which, out of focus, bleed like watercolors), the reflections and the uneasy inside-outside distinction, sometimes superimposing Hardy's image on a long shot of his surroundings. Monotonous as it may be on a visual level, this is a nice-looking film. It evokes the strange, neither-here-nor-there status of the driver the way Under the Skin does. 3/4. If you consider things that happen over the phone "happening," yes. Locke's life changes quite a bit in the course of his drive. However, I think the movie needed a stronger third act, a deeper challenge to Locke's belief system than it ultimately delivered. In that respect, it fell short for me on a dramatic level. 3/4. The challenge of a screenplay like this is that the writer may feel compelled to compensate for his limitations by reaching for the biggest drama he can. Buried — you know, that movie where the only character is Ryan Reynolds buried alive with a cellphone — fell prey to corniness as a result. Steven Knight knows something about corn — he's credited with the script for The Hundred Foot Journey. But in Locke, he mostly avoids it. His secret: Take Locke's unglamorous job as seriously as the character takes it. Want to know about concrete pours and rebar emergencies? You'll learn a lot from this movie, because Knight doesn't skimp on procedural details. It may sound boring, but it's surprisingly not. Things do get ham-fisted when Knight makes it extra clear that he wants us to see the concrete pour as a metaphor for Locke's need to put his life on a strong foundation. ("Concrete is delicate as blood!" he insists.) Also a bit too stagy are the long speeches Locke addresses to his dead father, a wastrel who was his anti-role model. 4/4. Before I saw the movie, I avoided spoilers, and I assumed Locke was a criminal involved in dangerous criminal business. Why? Well, it's a British flick, and it's Tom Hardy. He's brilliant, but he doesn't play nice, stable guys. So Knight and Hardy took on an additional challenge: making a nice guy interesting. 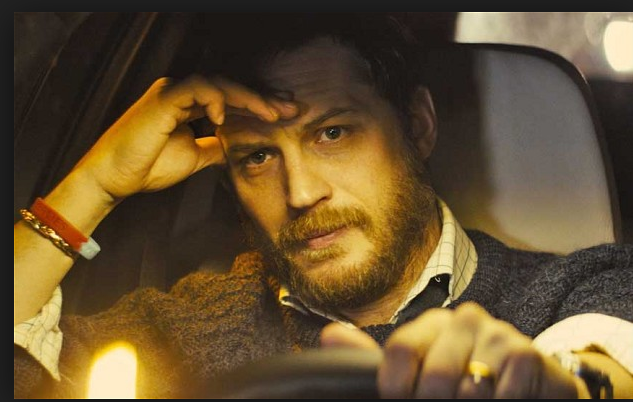 Hardy's Locke is no multilayered Walter White (whom I would totally watch talking on the phone with the various aggrieved people in his life and cruelly manipulating them for well more than 85 minutes), but he does have just enough depth to hold our interest. I just wish he'd had to suffer and sacrifice even more, because I'm sadistic with characters in dramas like that. 2/4. I won't lie; my attention wandered, because pretty early on I stopped feeling much suspense about how Locke would act and react. As a character, he's consistent throughout; though he does break down before our eyes, he doesn't change. Ultimately, I think Knight liked the character too much to challenge him with glaring evidence that it's not always possible to "fix things" by doing what's right. That's the writer's call, but it meant lower dramatic stakes for me. Verdict: 15/20. 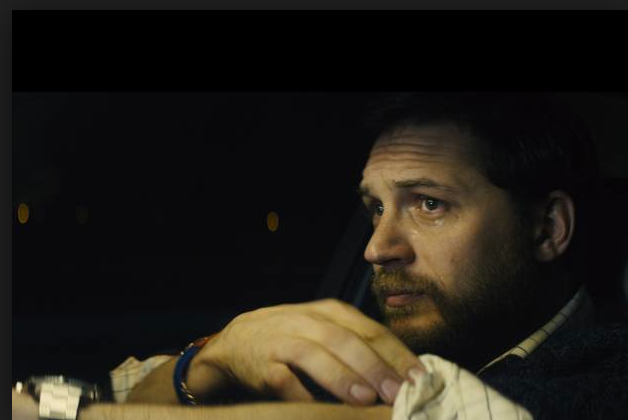 Highly recommended for fans of Tom Hardy and chamber/radio plays, and those who are just curious to see how you make a relatively interesting movie about a guy driving. Not recommended for long-distance truckers. At the Roxy and Savoy, Brendan Gleeson plays a priest in Calvary, the acclaimed latest from John Michael McDonagh. Elsewhere: a Christian drama called The Identical that asks: What if Elvis' stillborn twin had lived and been raised by a preacher man?